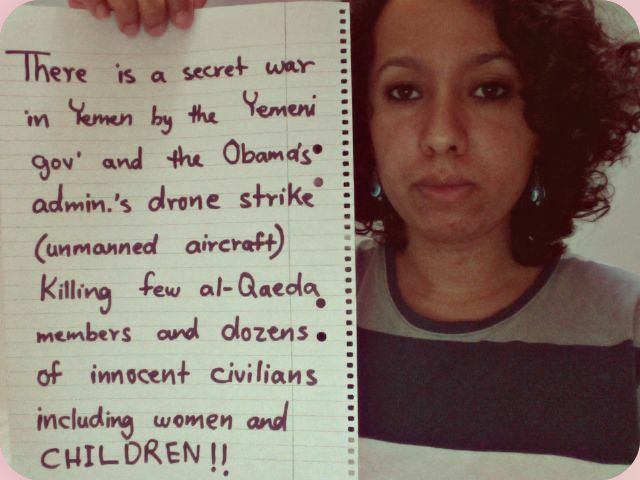 And this is a video, reportedly, shot at al-Majalla village in Yemen when the Obama administration's first missile strike killed dozens, including 14 women and 21 children, in Dec. 17th, 2009. This kind of scenes is still continuing to happen; killing few al-Qaeda members and dozens of innocent civilans. In fact, in April,Obama expanded the drone strik program by granting the CIA the authority to use drone strikes against suspects without knowing their identities. Someone must stop this madness!